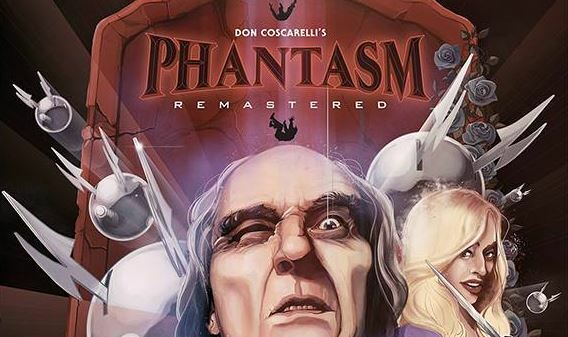 PHANTASM: Remastered Archives - Horror News Network - The Horror News You Need! This Saturday, the remastered version of Don Coscarelli’s 1979 classic Phantasm is scheduled to hit theaters and, in anticipation, a new trailer has been released to get folks in the mood for some Tall Man. To view a list of theaters that the film will be playing in this weekend, check out their Facebook page by clicking here. “PHANTASM: Remastered” celebrated the SXSW premiere screening on Monday, March 14th, 2016 at the Stateside Theatre in Austin, TX. PHANTASM, first released in 1979, underwent a meticulous 4K restoration from the original 35 mm camera negative by Bad Robot Productions.